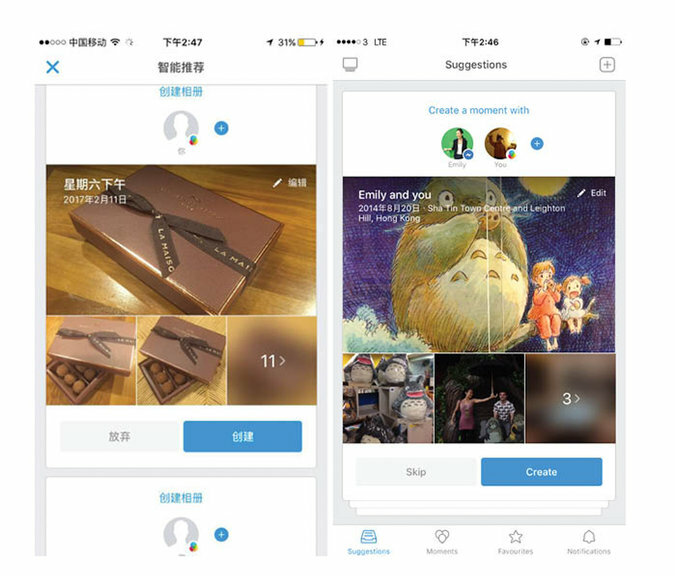 "Colorful Balloon" APP is Secretly being Tested by Facebook in China. In May, Facebook quietly launched a photo-sharing app called Colorful Balloons in China, where the social networking site is banned, according to a report in The New York Times. Colorful Balloons appears to mimic the look and feel of Facebook’s Moments app, which allows users to share photos with friends and family members. Rather than interfacing with Facebook, the app works with the country’s biggest social network, WeChat. Facebook released the app through a local company called Youge Internet Technology, without any hint of branding from the social media giant, and appears to have taken efforts to ensure that it doesn’t spread widely. China banned Facebook in July 2009, and partially blocked WhatsApp in July. Since then, CEO of Facebook Mark Zuckerberg has been working to find a way to get the social network reintroduced into the country, meeting with governmental officials and reportedly working on software for the country that helps suppress posts from appearing in a specific geographic area. The Times describes this quiet roll-out as “unprecedented,” and that it demonstrates the effort that tech companies will undertake to try and gain a foothold into China and its population of 700 million internet users. It’s not clear if the Chinese government is aware of Facebook’s efforts: the Cyberspace Administration of China didn’t respond to a request for comment from the Times.